Dr. Fiala differentiates himself with a caring, empathetic style. Trained in Plastic Surgery at the University of Michigan, with Fellowships at Harvard-MGH and Davies Medical Center-UCSF, Dr. Fiala is also well prepared to offer you the very latest in aesthetic cosmetic surgery specifically tailored to you. From consultation to recovery, Dr. Fiala recommends the most appropriate aesthetic cosmetic procedures designed to match patients’ goals. Throughout the process, his passion for quality and service is evident. Recognized as one of the area’s pre-eminent plastic surgeons, Dr. Fiala’s emphasis is on a treatment plan that is uniquely customized for each person. 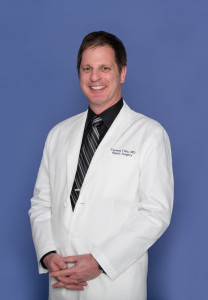 Dr. Fiala was recently recognized as an IDEAL IMPLANT Preferred Surgeon due to his extensive expertise working with IDEAL IMPLANT® Structured Breast Implants, the latest technology in breast augmentation. With a unique structure surrounding these saline-filled implants, women can achieve beautiful results with zero risk of silent rupture. Dr. Fiala uses the IDEAL IMPLANT to help women look and feel their best. With the IDEAL IMPLANT, no expensive MRIs are needed, and they come with a lower risk of both capsule contracture and ruptures when compared to other implants. "Dr Fiala is The Best Dr!!" "I am so in love!!!!" "Extremely happy with the procedure"
"I am so happy with my breasts"
"Thank you so much, Dr. Fiala, for my natural looking breasts"
"The results were absolutely PERFECT"